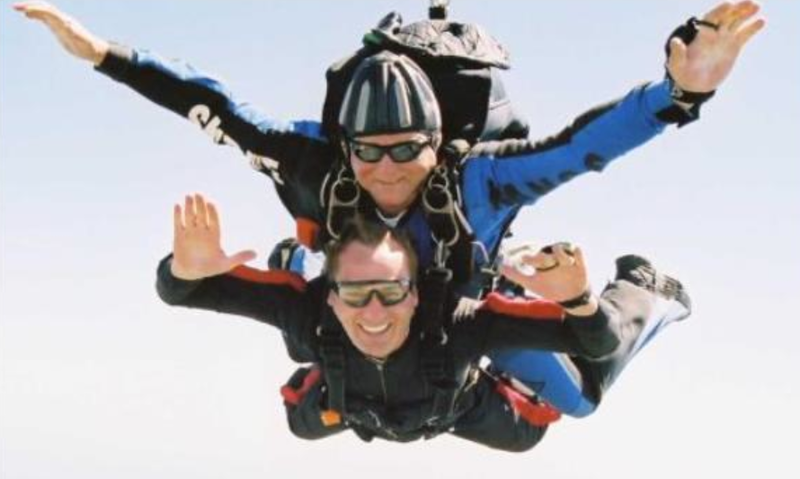 Fr Liam and Fr Mansel (of Mumbles Parish) will be doing a sponsored Skydive for the Menevia Jubilee Appeal! Please support them, and the whole diocese, by encouraging them in their daredevil endeavours. Sponsor forms are in the porch to the church. The jump is on September 13th at Swansea Airport from 8:30am. This entry was posted in Uncategorized and tagged Fr Liam, Fr Mansel, Jump, Menevia Jubilee Appeal, Skydive, Swansea Airport on August 3, 2014 by stdavidandstpatrick.